Elaine was born January 5, 1928 in Hankinson, ND to Samuel and Francis (Rainey) Dering. She was the middle of 9 children. She was confirmed in the Congregational Church in Hankinson. After graduation from high school she moved to Wheaton, Minnesota where she met her future brothers-in-law. She moved to Sioux Falls at their suggestion to work for Jack Rabbit Lines. There she met Ray McKittrick and they started dating. They were married May 8, 1949 at First Congregational Church in Sioux Falls.Â Ray passed away in 1988 in Rapid City. She worked for Sears in both Sioux Falls and Rapid City until moving back to Sioux Falls in 2003. 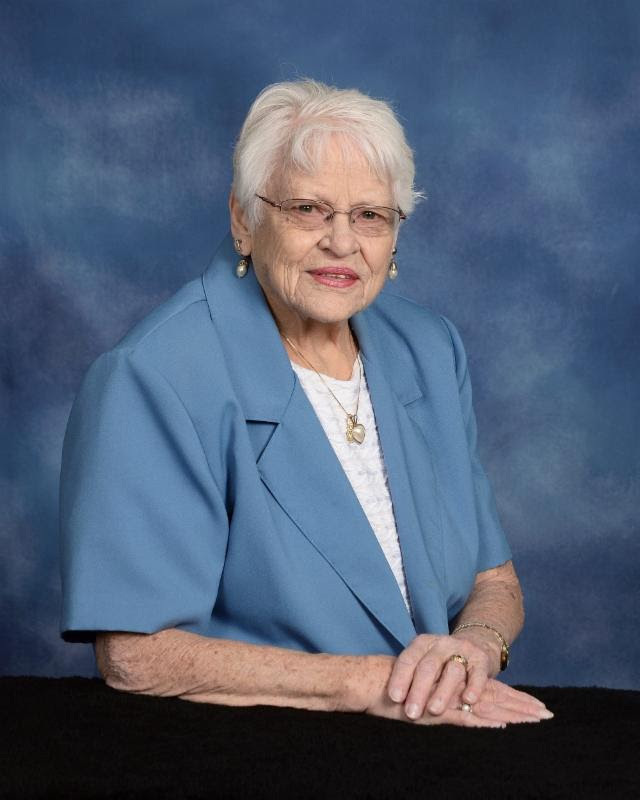 She was a charter member of Crestwood United Church of Christ in Sioux Falls. She is survived by daughters: Cheryl (Robert) Zeig of Campbell, MN. and Sandra of Sioux Falls; step grandchildren: Nick Zeig of Long Island City, NY and Chris (Emily) Zeig of Astoria, NY; her first great grand child will be born in July; brother: and Everett (Betty) Dering of Napa, CA. She was preceded in death by her husband Ray, her parents Sam and Francis, one sister and six brothers. Funeral Service will be Thursday, 11 AM at Spirit of Peace United Church of Christ.